When mortal kombat first appeared in local arcades. 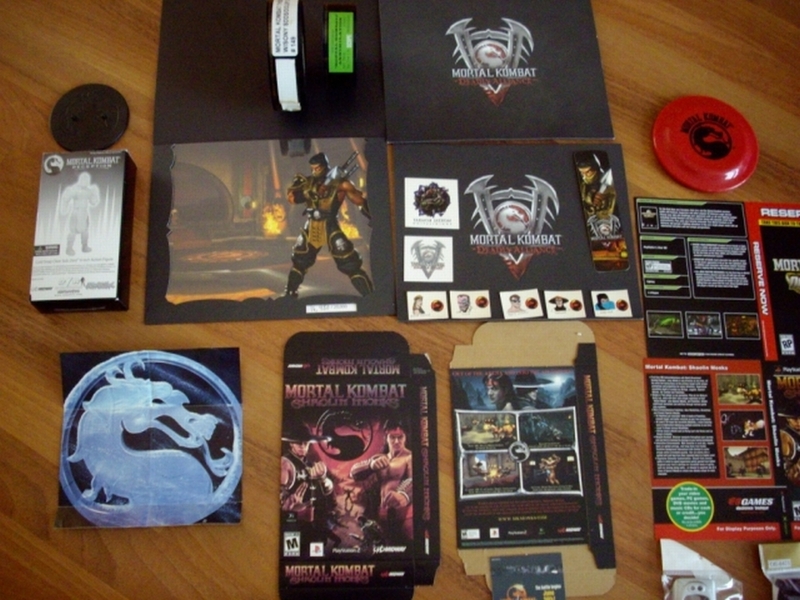 Shortly after the second mortal kombat game was released. 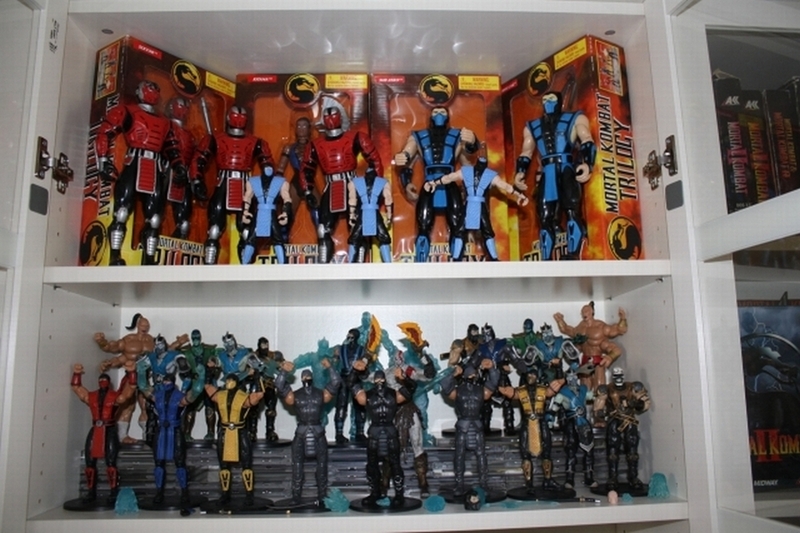 It stopped after the 4th MK game because of personal issue but when Deadly Alliance came around I got back into my collecting. 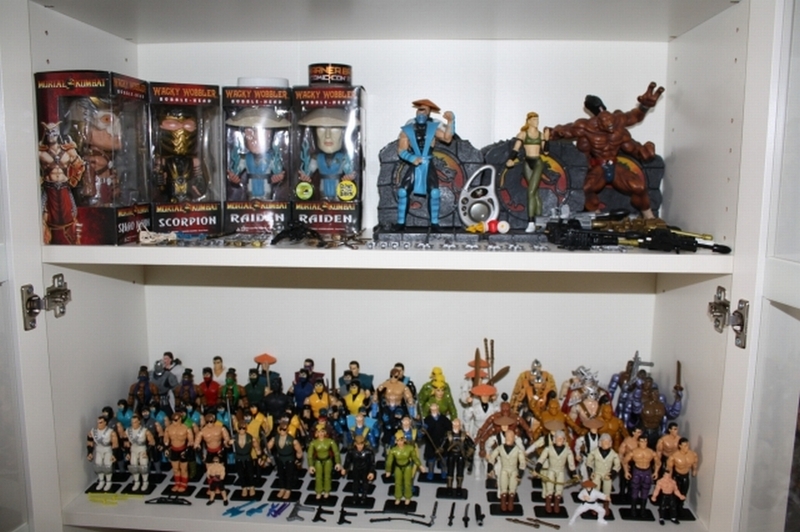 Other than MK, I collect other figures that are comic related and movie/comic props including movie posters. It’s fun becuase it’s something other than hot wheel cars and that I know this items are something that made a impact in the world’s view on video games and the whole rating system. An autograph MK shirt from Ed Boon himself and the background art that is signed by almost the whole MK team.. 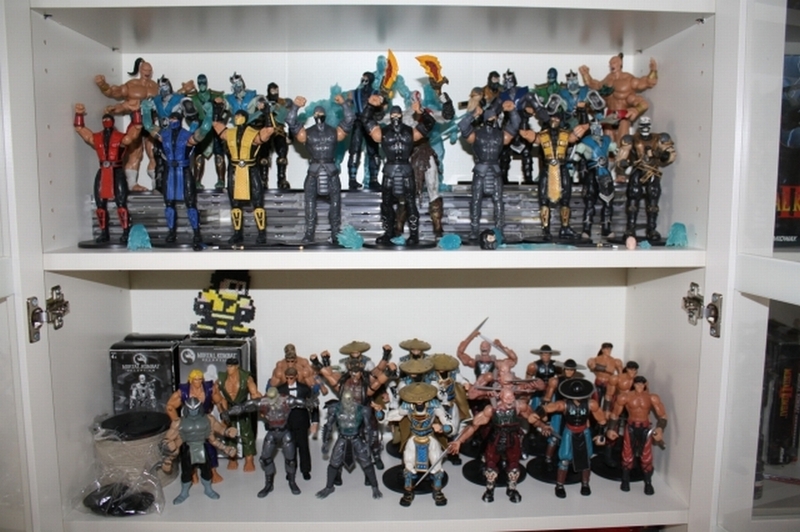 I wish I had some of the older games and the older figures. I had money issues in the past and got screwed by local stores in which now they are worth more then what it was back then. The Best MK game.. well I don’t have a “Best” game because I enjoy them all. 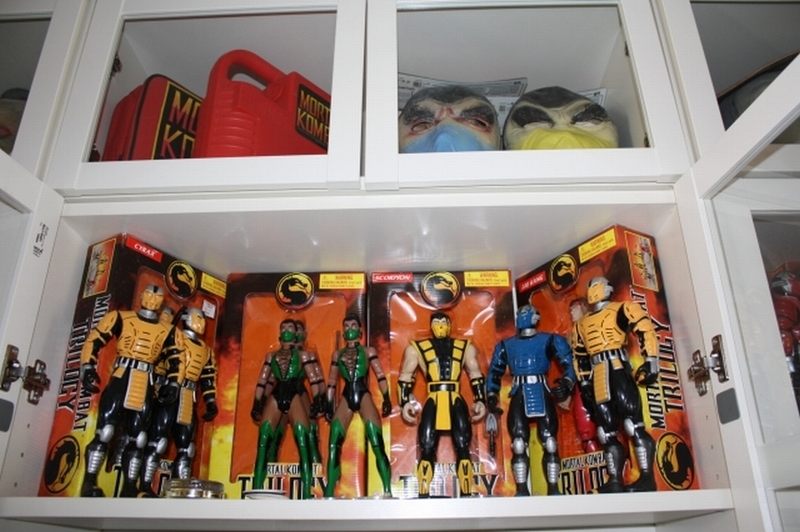 If I had to pick one or two.. lol I would say MK 2 or the newest MK game. I would have to say to wake up as Johnny Cage would be a unique experience. A fatality that I would like to see.. would be for Stryker… where he would shot off the hands and then the kneecaps afterswards would have him should a whole in the chest to stick a grenade in the chest and as it blows the body apart the head is show flying up and he then pulls out a gun and shoots it as it flys kinda like duck hunt. If Megan Fox /Dream Girl would buy me or baby me with buying more merchandise for my collections then I would have to choose collecting.